CATI can play a key role in managing complex respondent quotas such as nationally representative samples. A well managed sample can help avoid non response bias by ensuring different phone numbers are attempted at different times on different days, maximise the probability of contacting the right respondent. Given the sample controls available and the automation of data capture and outputs, a CATI study can be turn around relatively quickly. 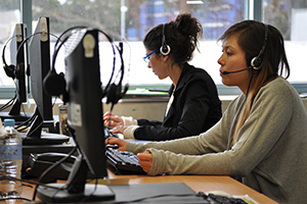 Our CATI facility provides predictive dialling capabilities to automate fast, accurate and digital dialing and eliminate the frustrations of repetitive dialing. This helps minimise interviewer wait time as it detects and drops busy, no answer, answering machine and non working number.